JOHANNESBURG — In the United States, some parents fearful of deadly Ebola pulled children out of a school after the principal returned from Zambia, an African nation far from the area hit by the disease. In Geneva, a top U.N. official warned against anti-African discrimination fueled by fears of Ebola. The disease has ravaged a small part of Africa, but the international image of the whole continent is increasingly under siege, reinforcing some old stereotypes. Guinea, Liberia and Sierra Leone – the African countries afflicted by the Ebola outbreak – have a combined population of about 22 million on a continent with more than 1 billion people. Their corner of West Africa encompasses an area the size of California, or almost as big as Morocco. Yet the epidemic feeds into a narrative of disaster on a continent of 54 countries that has seen some progress in past years, and false perceptions of Ebola’s reach are hurting African business distant from the affected areas. “It speaks to a whole discourse about the danger of Africa,” said Michael Jennings, a senior lecturer in international development at the School of Oriental and African Studies in London. 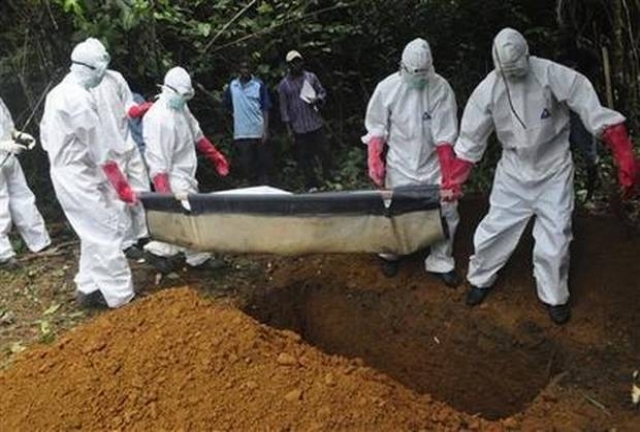 Now the economic impact of Ebola fears is being felt in many parts of Africa. Hotels, tourism operators and conference organizers are recording increasing cancellations. Thirty international buyers pulled out of an annual tourism expo that began Thursday in Zimbabwe’s resort town of Victoria Falls, said Karikoga Kaseke, the national tourism agency chief. He said business travelers from China and Malaysia were among those who recently canceled trips, and Jamaican musicians have also skipped Zimbabwean shows. The southern African country is more than 4,800 kilometers (3,000 miles) from Ebola-hit Liberia, or about twice the distance between London and Moscow.